Need to turn your PDF into a spreadsheet? You can convert PDF files to Numbers and vice versa easily through the use of certain software programs. Numbers is a spreadsheet suite that is part of Apple iWork. 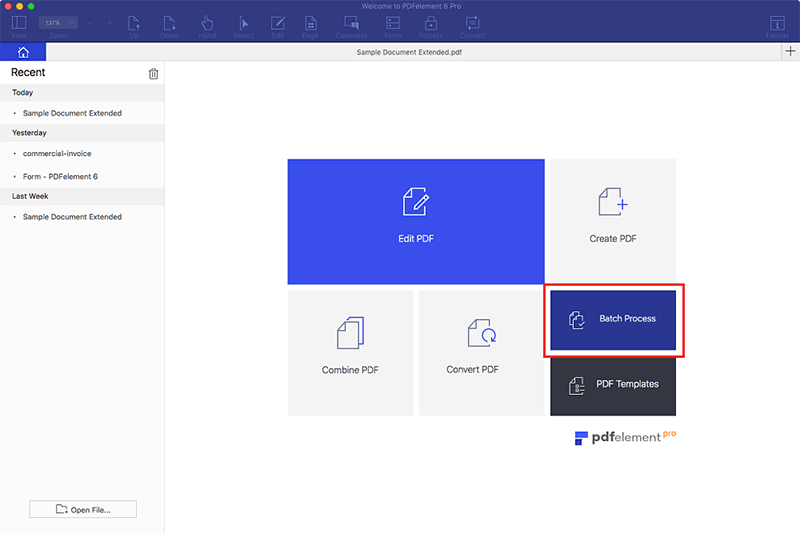 This article outlines the different file formats supported by iWork's Numbers, and how you can convert PDF to Numbers effortlessly using PDFelement for Mac. PDFelement for Mac is a versatile PDF converter and editor. 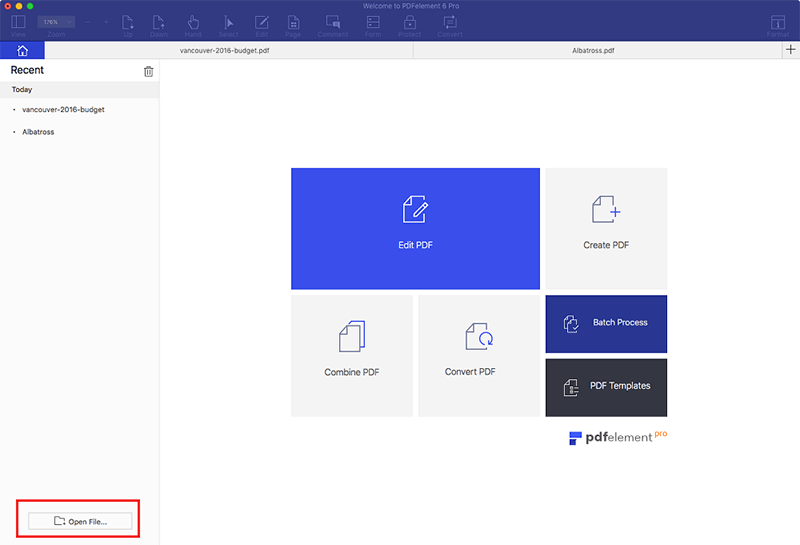 It helps users transform PDFs to or from other file formats such as Word, Excel, JPEG and many others in batches and at a high speed. 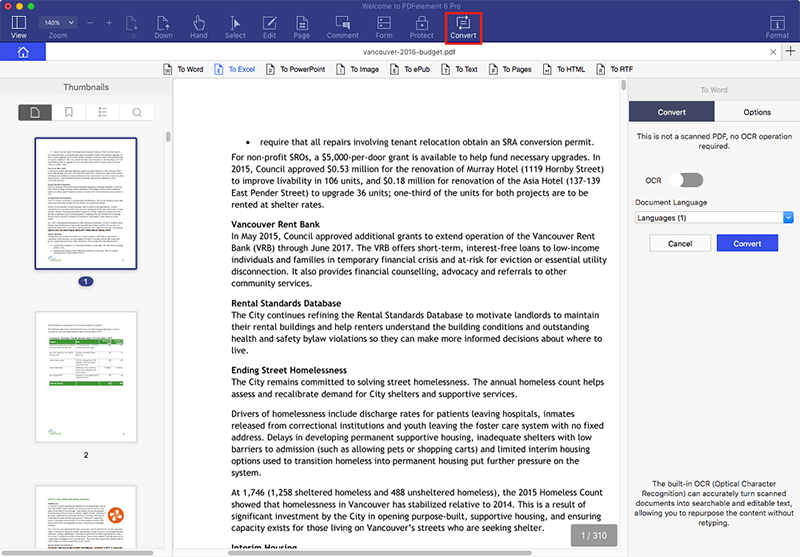 It also comes with very powerful editing tools, letting users annotate PDF files by adding notes, creating custom stamps, underlining and highlighting texts. You can also apply passwords to your document to inhibit unauthorized access. Additionally, you can add encrypted digital signatures to sign your PDF. You can also redact some pages from your current PDF to further protect your document. If you need to add new pages or replace existing pages in your document, PDFelement lets you do this as well. Lastly, you can add headers and footers to your document to help with formatting and organization. Launch PDFelement. Import the files that you wish to convert by dragging and dropping them into the program. Alternatively, you can add files by clicking the "Open File" button. If you have an encrypted file in the list, a "Lock" icon will be shown before the file name. If you want to convert the encrypted file, just click on it and enter the password to decrypt it. You can add multiple files for conversion if you'd like. Once your editing is done, click on the "Convert > To Excel" button. Immediately after clicking the button, a new window will appear on the right side. Click the "Options" button to change settings as required. For instance, you can combine multiple sheets together or you can retain the original formatting. Once you select the changes that you want, click "Convert". If you want to add more files for conversion, go to "Batch Process" on the Home screen. Choose the output format as "Microsoft Office Excel" in the right-hand corner of the pop-up. Then click the button marked "Start" at the bottom. The file will be converted within seconds. After the conversion is complete, go to the converted Excel file. Open it with Numbers to start using all of its functionalities. Numbers for Mac can import file formats such as CSV, XLS, XLSX and all number versions. Numbers for Mac can export file formats such as Numbers '09, XLS, XLSX, PDF and CVS. The supported Numbers formats that can be opened in iOS devices include Microsoft Excel (XML, xlsx and xls), Comma Separated Values (CSV) and Tab-delimited text files. The number formats that can be exported from an iOS device include xlsx, PDF, and Comma Separated Numbers. Files that can be uploaded to Numbers for iCloud include, Tab-delimited text files, comma separated values, Microsoft Excel- Office Open XML (.xlsl) and office 97 or later (.xls). Files that can be downloaded from numbers for iCloud include, PDF, all numbers, xlsx, and Comma Separated Values.